place! As a PADI 5 Star Career Development Center we offer beginner and continuing education scuba courses for both recreational and technical diving as well as instructor training. 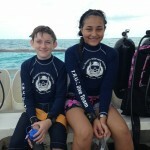 Choose a one day Discover Scuba Diving program if you just want to try out scuba or enroll in an Open Water Diver Course to become scuba certified. 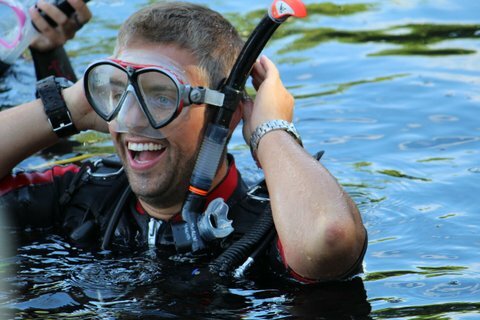 The Advanced Open Water Diver, Rescue Diver and Specialty Diver Courses are great to gain experience, advance your skills and explore the many possibilities in scuba diving. Finally, the Divemaster Course is for those who want to venture into the professional level of scuba and is the last step before you can enter into instructor level training. 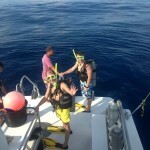 Whichever it is you would like to achieve in scuba we can help you get there. If you have any questions or are unsure which course is right for you please do not hesitate to contact us, we would be happy to help you make your choice! At Florida Keys Dive Center, you can use your VA benefits towards all courses from beginner through and including Master Scuba Diver Trainer. If you are a veteran we would like to take this opportunity to say “Thank You for Serving”. 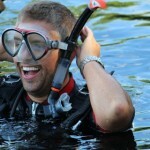 Please contact our facility if you are interested in using your benefits to begin or further your scuba training.